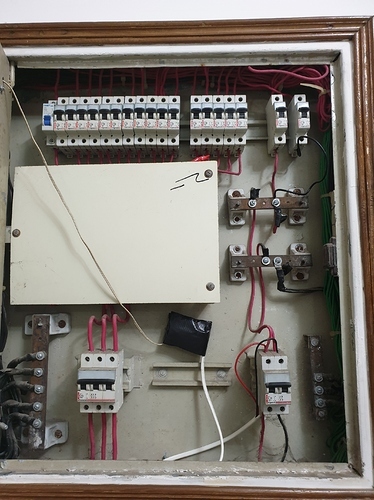 You would probably need an electrician to sort out which circuits you want to monitor and configure which circuits are connected to each phase. Your mains appear to be 40A and branch circuits are 10A-20A, so you could use ECS1050 CTs everywhere. Not sure what your voltage is, but assuming it’s 230V. by monitor you mean voltage monitor or current? By monitor I mean collect data about. With IoTaWatt you can collect Voltage and frequency data for one or all three phases, and you will collect Watts, Amps, VA, power-factor, kW for any circuits that you attach current transformers to. The reason that I recommend an electrician is that this appears to be a 230V three-phase supply. You don’t seem familiar with how it works (most people are not) and there are exposed buss-bars. If you don’t know how it all works, and I don’t mean this to be critical, you should not be trying to learn about it by trial and error with IoTaWatt. 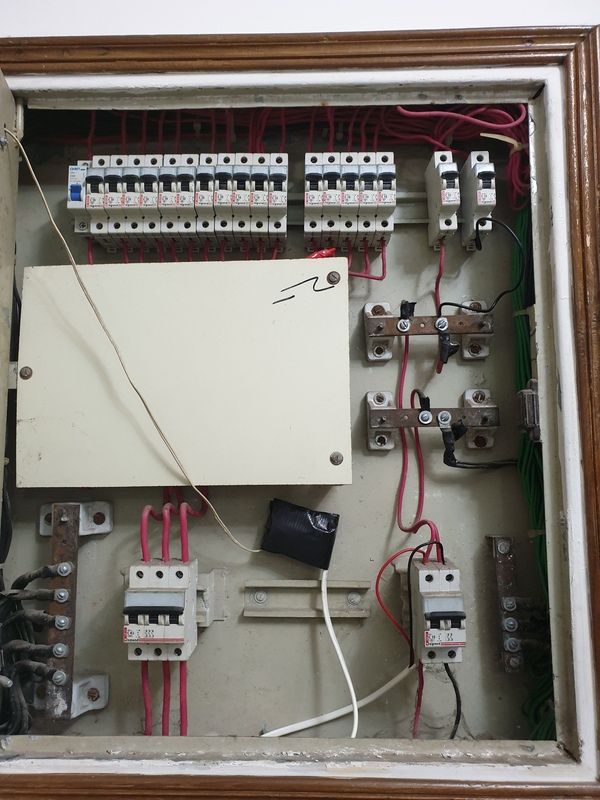 An electrician could determine what each of those circuits are used for and open up that central box, or use a voltmeter, to determine which of the phases each branch circuit is connected to. I’ve provided detailed information about how to connect IoTaWatt to three phase in the documentation referenced above. An electrician would know how to use that to complete an installation.